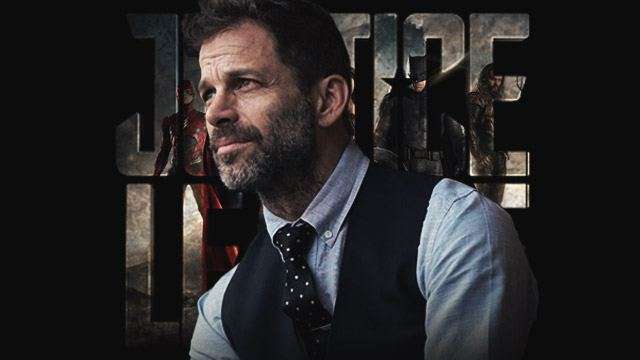 Zack Snyder is stepping away from his director duties in Warner Bros. upcoming Justice League film following personal problems that have been hounding him. According to the Hollywood Reporter, Snyder has been deeply affected by the recent loss of his daughter, who reportedly committed suicide in March. He initially took a two-week mourning period after his daughter’s untimely death and thought he could drown out his emotions with work. “In my mind, I thought it was a cathartic thing to go back to work, to just bury myself and see if that was the way through it,” he said. However, the director realized that his family needs him more than ever so he made the decision to leave the project. “I’ve decided to take a step back from the movie to be with my family, be with my kids, who really need me. They are all having a hard time. I’m having a hard time... know the fans are going to be worried about the movie, but there are seven other kids that need me. In the end, it’s just a movie. It’s a great movie. But it’s just a movie,” he said. Don’t worry, Zack, we totally understand and your family definitely comes first. Fortunately for the fans, Snyder left the film in the capable hands of Joss Whedon, who has previously worked on Marvel’s Avengers franchise. This means there will be no delay in the movie’s scheduled release date. Snyder is known for his trademark style of visual storytelling, which focuses on the dark tones and grimmer elements of screenplay. Some of his visual masterpieces include last year’s Batman v Superman: Dawn of Justice, 300, and Watchmen. Justice League will star Ben Affleck, Gal Gadot, Jason Momoa, Ezra Miller and Ray Fisher. The film is set to hit theaters in November 2017.